Ask an expert: My teenage son only reads online text – is this likely to affect his reading skills? My 15 year old son never reads fiction, although he does read plenty of online text. Is his refusal to read novels likely to affect his reading ability and performance in GCSE English? He argues that as he reads plenty of ‘stuff’, he doesn’t need to read fiction. John Jerrim. a professor of Education at the University College London Institute of Education, has just led a study into the reading skills of teenagers who read different kinds of texts. He says: “Fiction books seem to hold the most promise for boosting children’s reading skills so I would encourage children to read novels and longer stories at home if they can. “We were unable to look at digital/online text directly within our research, but it suggests this type of reading isn’t likely to have any positive benefits for your child’s English GCSE. Skim-reading short texts – such as social media or blog posts – may be more similar to the reading of newspapers, magazines or comic books, and we found reading these kinds of texts was less strongly associated with young people developing stronger reading skills than fiction. If this is the ‘stuff’ your son is reading at home for pleasure, then we believe it’s unlikely this will directly help improve his GCSE English grade. “If your son was to read more fiction at home for pleasure, the story is a little more complex. We do find that young people who read more fiction tend to score more highly on reading tests. This continues to hold true after we’ve taken into account a wide range of other potential explanations, such as girls generally being stronger readers than boys, and socio-economic differences in the amount and type of text children read. “There are two important caveats to this finding. 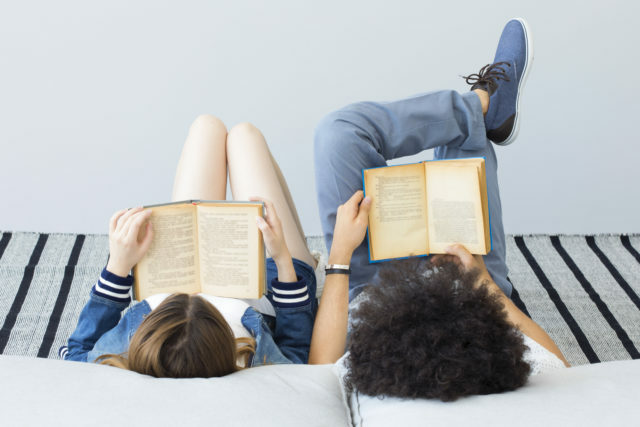 First, although we were able to rule out some alternative explanations for why reading fiction may be linked to stronger reading skills, there are some others we aren’t currently able to rule out. This includes children who were stronger readers in the first place being more likely to read this type of text.